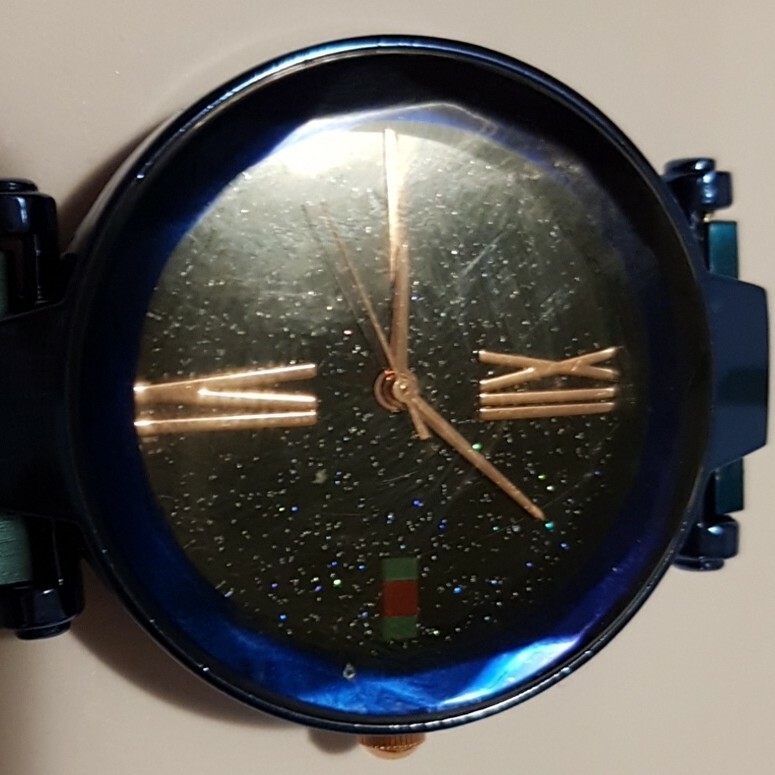 Beautiful watch, easy to see what time it is. 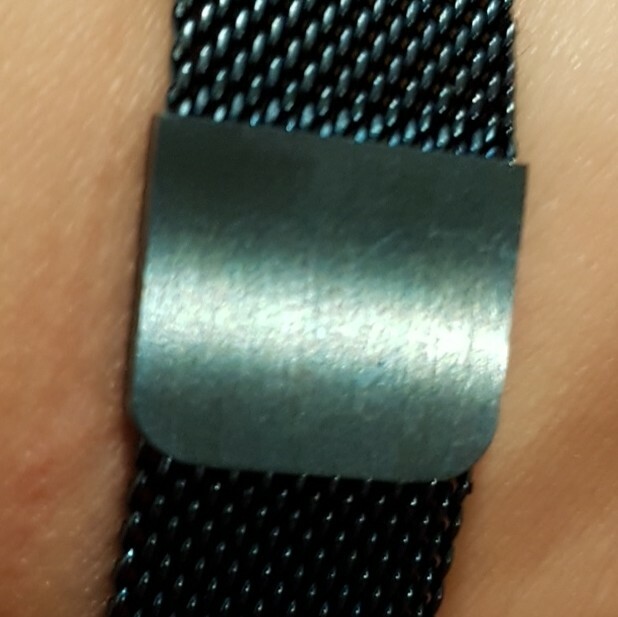 The strap has a magnet to adjust the length of the strap. Nice blue colour, easy to combine with a lot of different outfits. 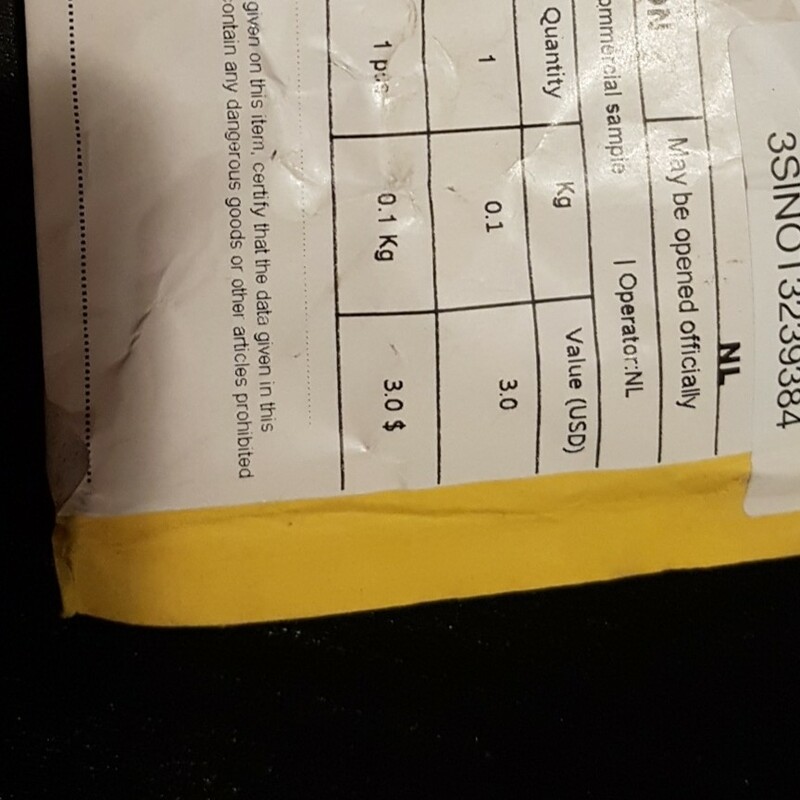 The package is a good, small envelop with a lot of protecting plastic in it. It doesn’t tear if it’s raining while shipping or delivery. 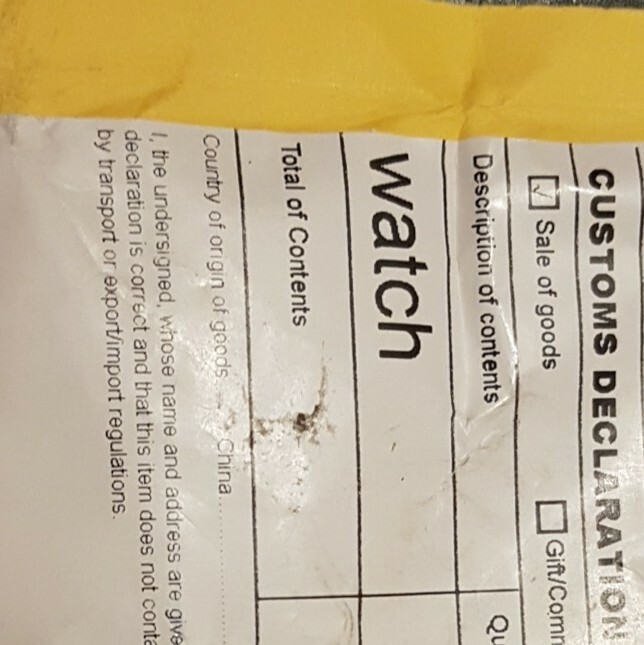 It’s hard to open it without scissors and therefore nobody can open it without visible damage, no unwanted things during shipping: safe and secure. 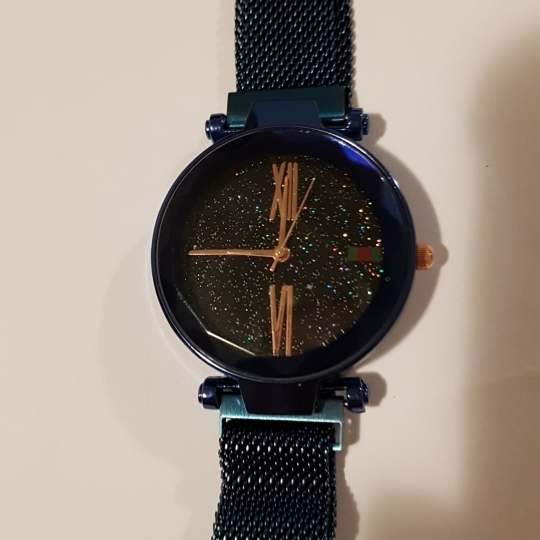 A watch that’s a bit different due to the shape of the hourglass. It’s not just a flat glass on top but shaped with little triangles and it the strap locks itself by a magnet. 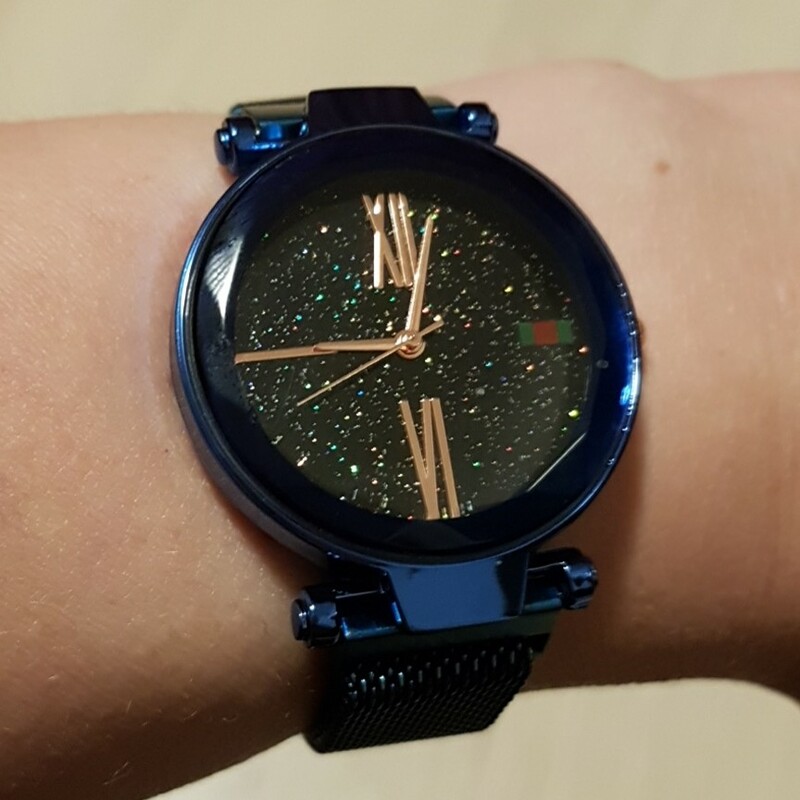 The strap is perfectly adjustable to my small wrist, which is often a problem. No specific places in the strap where you can close it, any spot you wish. Due to the magnet it keeps perfectly in place. Comfortable to wear. The package came earlier than I expected and was handed over by the mailman — not on my doormat. 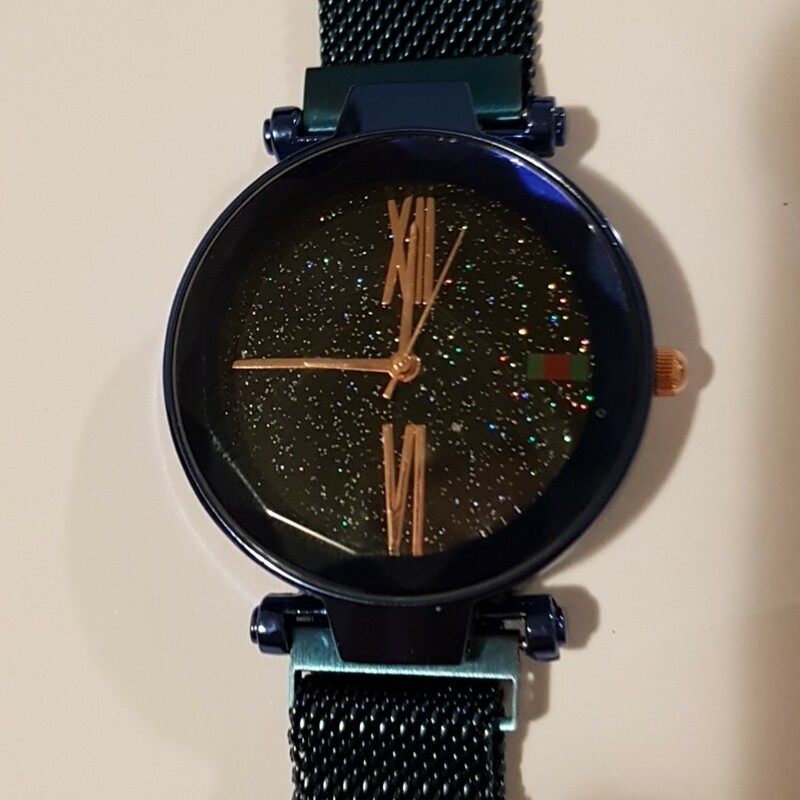 The watch was wrapped in protective plastic with bubbles, several layers and was in perfect state. 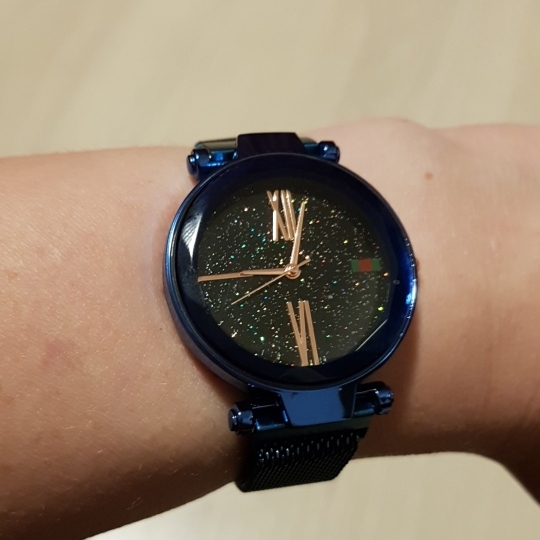 A good watch for people with small wrists, adjusts very easy. Easy to see the time, contrast is high and effective. Stays in place during the day. Smooth and doesn’t damage delicate clothes.